A CONCISE STRATEGY TO IMPROVE 2018 FOOD AND BEVERAGE PROFITS - Merchandise Food! There are only three ways to increase food & beverage sales. The economy and unfavorable weather has robbed resort, restaurant, and F&B executives of the simplest method to improve sales. Luckily, two remaining methods still offer opportunity, yet one single F&B Core-Competency Focused Strategy is best for Profit Increases. 1. Sell F&B to more people. 2. Sell more food during single guest visits through average ticket increases. F&B Directors must heavily optimize dining, retail food, or concession sales to offset the economy. Unfortunately, like the cruise and casino business, the real pressure mounts when discount room strategies at major discounts or break-even cost increase guests, but heavily relies upon “wrestling” dollars out of guest’s wallets once they arrive. This can be a dangerous short-sighted strategy if F&B is not positioned to succeed, as driving more traffic to inefficient minimally profitable restaurants will only increase financial risk, deplete resources, and increase employee stress. Employee and management stress in turn creates low morale and poor customer service, which in turn is subject to slowly undermining the reputation and financial strength of a resort as a whole. Are you positioned for success? What are the opportunities? Menus: Concession & dining menus overlooked for 6 months have become stale and vulnerable. Changing menu costs, customer needs & wants, target price points, and culinary innovations cannot be solved by raising prices to cover revenue targets. Re-engineered menus psychologically position your most profitable items in key suggestive areas driving profitability. 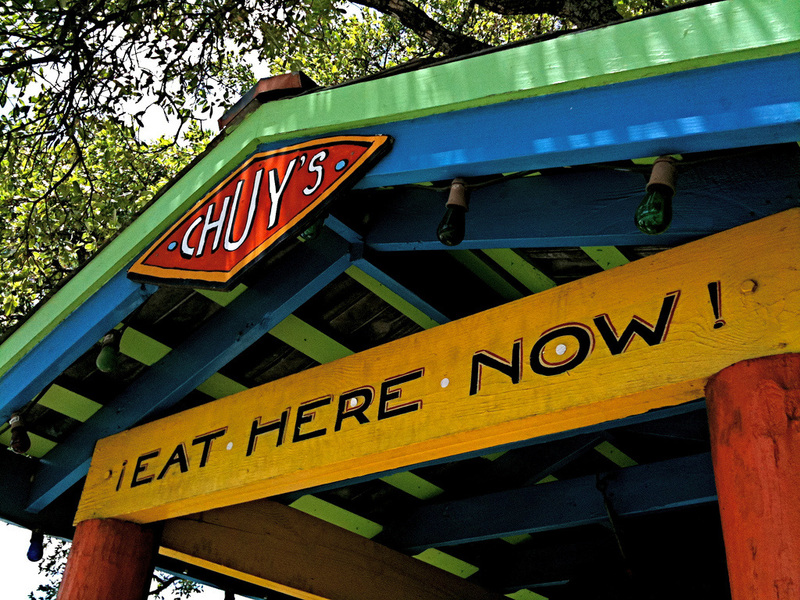 Effective menus increase beverage, alcohol, dessert, and add-ons sales improving guest checks. Food Merchandising: Hidden losses and missed sales opportunities abound in almost every foodservice display and must be discovered and solved to maximize profits. Food merchandising strategy must minimize product outages, improve display & fixturing technique, train employees, and meet high-volume demands. Profit improvement must minimize shrink or product loss and improve cash-flow by decreased unnecessary food inventories. Pricing: The “magic” price optimizes profits, by selling the highest possible volume at a highest price. Maximum gross profit is potentially hiding behind a price too low or too high. It has been reported to us a major recreational foodservice management company realized 20% increased profitability in this economy with strategically lowering item prices. Training: Expecting seasonal and high turn over retail food and foodservice employees to excel without training, is like handing the keys of a Lexus to a 14 year old. Setting standards and management example for behavior, expectations, company culture are imperative at every annual season opening. The most effective training subjects are an investment in today’s economy and focus entirely on subjects to drive increased guest sales. Key subjects include: Food Merchandising for Profits, Wait-Staff Training aimed at Add-Ons & Upsells, Guest Service and management menu re-engineering coaching. Train employees to be sales and brand ambassadors, not workers. Educated business-focused employees are more apt to seek out profits, operational improvements, cost savings, labor savings. Poor employees overlook or ignore problems. Weak employees report problems, and well trained employees locate, report and solve problems, while generating more profitable opportunities. Look Inside: Cost containment measures or locating dollars slipping away due to labor inefficiencies, operational challenges, poor controls, product shrink, and theft simultaneously uncover hidden money. Operations Analysis can uncover the 10 cents you’re unknowingly loosing every time a guest orders. When guest counts are down, use time to review every aspect of your operations with new perspectives. Lean, focused organizations understanding every cost, control, and procedure will save thousands of dollars. 3. Build repeat resort dining visits, selling food to guests more often. Method three is a by-product of efforts exerted to drive average ticket increases mentioned above. Return visits are directly tied to positive enjoyable prior visits. We believe focusing on this strategy is important but secondary to driving average ticket increases for two specific reasons. First, a bird in the hand is worth two in the bush. Some guests may never return for reasons beyond your control. Guest may be apt to take advantage of many remarkable competing dining and entertainment deals around town. Let’s face it we’re all in the same boat, many of our competitors are willing to advertise unreasonably low priced food. Secondly, key factors to drive repeat business, are outside the core competency of the food & beverage department. Outsource the deliverables of this strategy to the marketing department. Cross-marketing resort dining facilities relies upon signage, promotions, and printed marketing collateral. Lunch time concessions and restaurants, hotel rooms, and guest services, should be digitally, audibly, and visually selling, services, special events, retail offerings, or other resort properties for evening dining, snacks, or grab-and-go items for travel. Partner with your marketing department to ensure the look, feel, pricing, promotions, and information is correct on pieces. Most marketing/information signage I’ve seen developed in F&B departments include a large piece of tape, white copy paper, an ink-jet printer, and some 1980’s clip art. In summary, focus current efforts on driving increased average guest checks through improved operational efficiency and food merchandising. Leverage the opportunities you already have, before looking outside for more. Expending energy, dollars, labor beyond this area before taken advantage of missed current opportunities is a poor use of cash flow and an exposure to unnecessary increased risk. Rate your current food merchandising efforts. 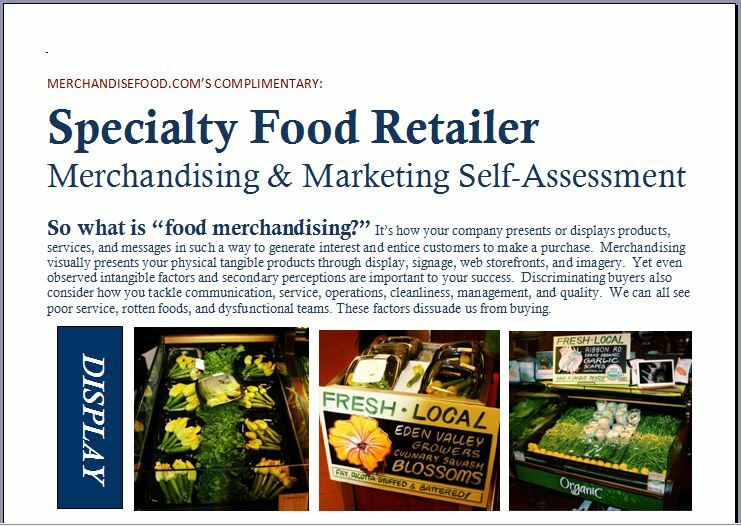 We've created a COMPLIMENTARY DOWNLOADABLE tool to review your current food merchandising.